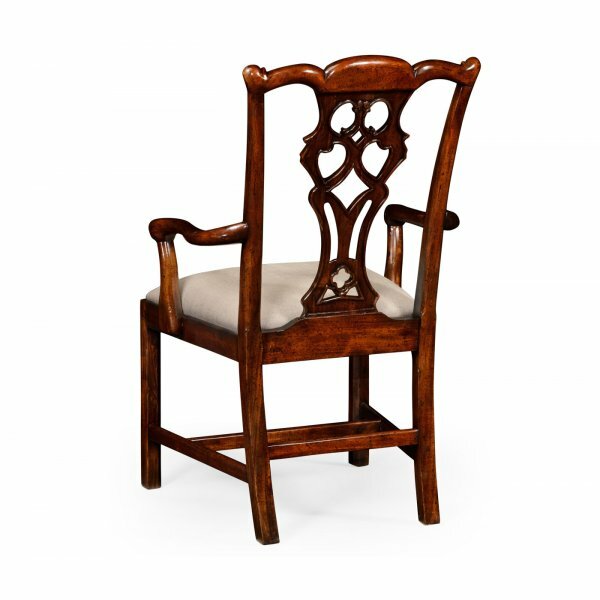 This magnificent Chippendale Mahogany Dining Armchair would make an excellent addition to any dining room. The Classic Chippendale style distressed mahogany armchair features the serpentine top rail above a flat pierced and shaped splat with a Gothic quatrefoil to the base, shaped scrolling arms around a neutral upholstered drop-in seat and plain square-legged base. 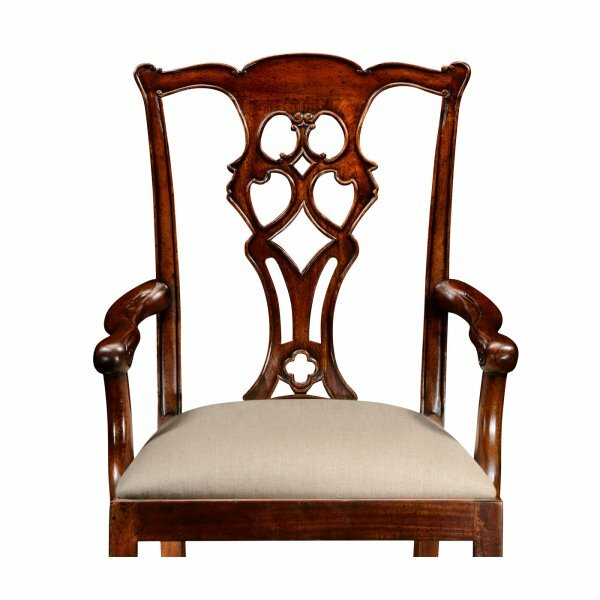 This fantastic Mahogany Dining Chair is an ideal choice for anyone seeking traditionally splendid, classy furniture piece that benefits from the strength and practicality of classic design. 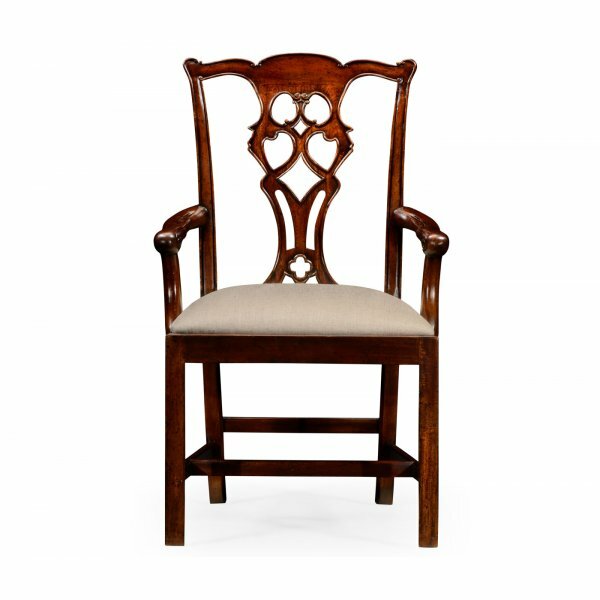 This Chippendale Mahogany Dining Armchair has been manufactured to very high standards, ensuring dependability and a long lifespan. A set of these classy mahogany dining chairs will undoubtedly transform your dining room!